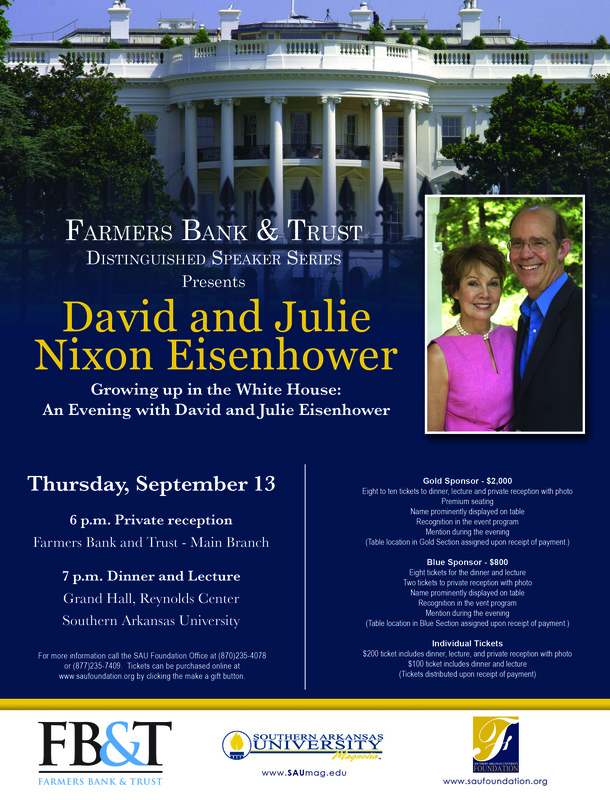 MAGNOLIA – Ever wonder what it would be like to grow up in the White House?David and Julie Eisenhower will share their experiences as speakers for the eighth annual Farmers Bank and Trust Distinguished Speaker Series on Thursday, Sept. 13. Attend the dinner to hear details on life inside 1600 Pennsylvania Ave. from two who have lived it. David is a grandson of the late-President Dwight D. Eisenhower, and Julie is the daughter of the late-President Richard Nixon. David is an historian and the Director of the Institute for Public Service at the Annenberg Public Policy Center. He serves as a senior research fellow at the University of Pennsylvania’s Annenberg School of Communication and is a fellow in the International Relations Department at the University. In February 2002, David Eisenhower was named editor-in-chief of the Foreign Policy Research Institute’s ORBIS journal. He has lectured widely to audiences across the United States on the Presidency, foreign relations, and World War II. She is also a lifelong volunteer. During the Nixon Administration, her efforts on behalf of children, the elderly and the environment led her to be voted four times by Good Housekeeping magazine readers one of the Ten Most Admired Women in America. Throughout the eighties, she was an advocate for special needs children, serving on the boards of the National Adoption Center and Philadelphia’s Please Touch Museum for Children. In 1991, she was named a Distinguished Daughter of Pennsylvania for her community service. The two-part event will begin at 6 p.m. with a private reception at Farmer’s Bank and Trust and continue with a 7 p.m. dinner and lecture in the Grand Hall of the Donald W. Reynolds Campus and Community Center. Includes eight to ten tickets to dinner, lecture, and private reception with photo, Premium seating, Name prominently displayed on table, Recognition in the event program, and Mention during the event. (Table location in Gold Section assigned upon receipt of payment. 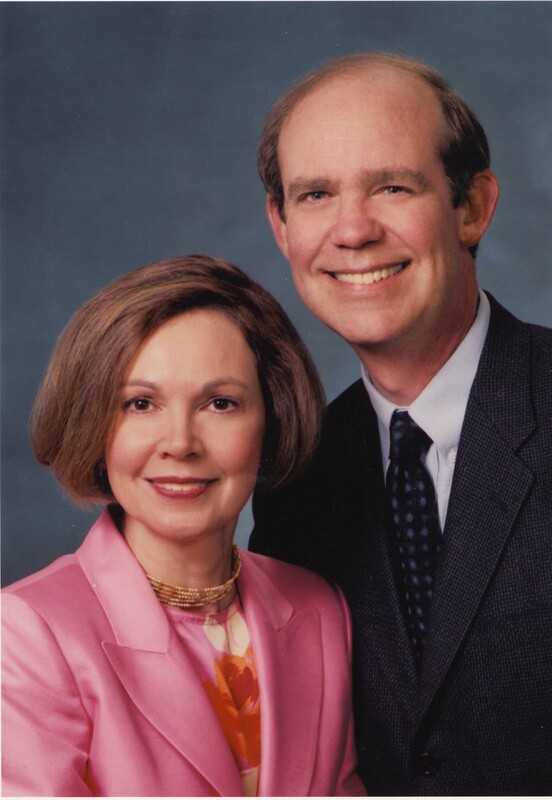 The Farmers Bank and Trust Distinguished Speaker Series was established in 2005 to benefit students of Southern Arkansas University through a scholarship endowment with the Southern Arkansas University Foundation. In fulfilling its mission, the series brings speakers of national and international prominence to the SAU campus, providing a memorable experience and enhancing the visibility of the University. CLICK HERE to download a Farmers Bank and Trust Distinguished Speaker Series flyer. Please CLICK HERE to be an event sponsor or to purchase individual tickets. 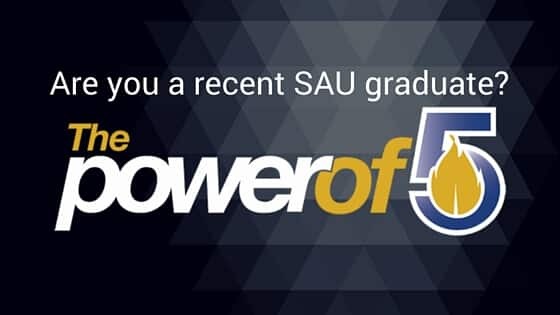 You may also contact the SAU Foundation at 870-235-4078 for tickets or more information.